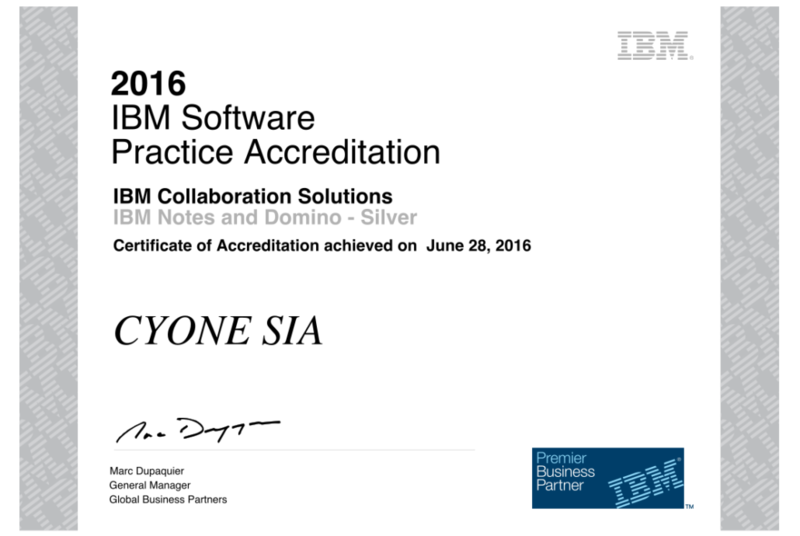 CYONE achieves next level of competency and receives IBM Silver Accreditation in IBM Notes/Domino area. Receiving of IBM Accreditation means IBM Business Partner meets to high IBM competence an quality standards. In addtion to certified personel that works in company, IBM Business partner has references to deployments and support projects of IBM tehnology, and IBM has verified quality of these projects.